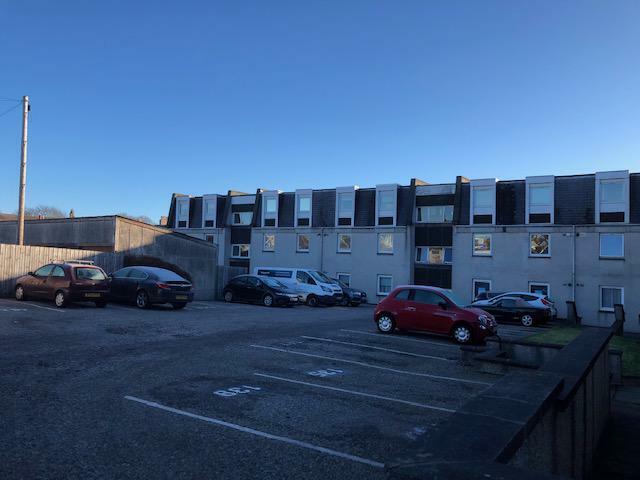 We are delighted to offer for lease, this recently refurbished two bedroom apartment located in the west end of the city with private parking with an easy access to RGU and the city centre. Bus route directly in to town. Close to Broomhill primary school , parks and Garthdee retail park. The property can be fully, part or unfurnished and has been decorated to an immaculate standard. Situated on the ground floor, the bright and airy lounge features laminate flooring and neutral décor. The modern white gloss kitchen has been equipped to an extremely high standard and includes a large fridge freezer, electric oven & hob. The property has two luxurious double bedrooms each with large fitted wardrobes. There’s a modern newly fitted bathroom with overhead shower. A utility room houses the washing machine and tumble dryer. Large storage cupboard in hall. GCH & DG throughout. Private parking. Viewing is highly recommended to appreciate the property.